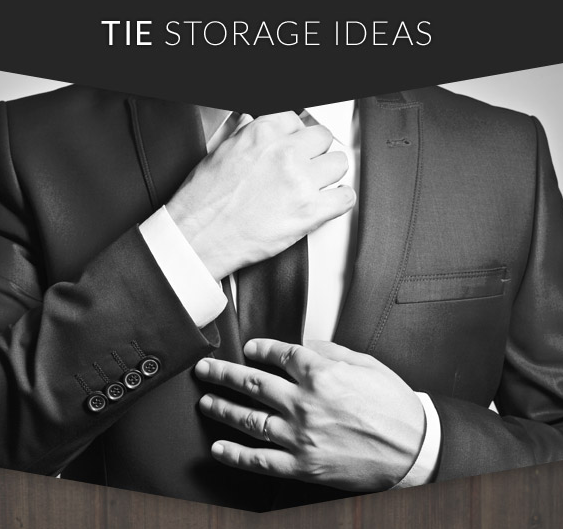 Chances are that you’ll have seen the traditional bow tie at work at a special event teamed with a smart black suit. This classic accessory can make all the difference to a formal outfit and is a staple addition to many black tie event outfit, but how do you tie a bow tie? Today at Ties R Us, we’re taking a look at how to do a bow tie and suggesting our favourite wedding bow ties that can be worn as a groom or guest. Whilst there are easy to use clip-on bow ties out there, you can’t beat the real deal when it comes to a classic bow tie. If you’re a novice at tying bow ties, we’ve got some simple steps to outline the best way to do a bow tie for a stylish result. Step 1 – To tie a bow tie, start by having the tie around your shoulders so that the ends are lying flat against your chest. Ensure that the right side is shorter than the left. We’ll refer to the left as A and right side as B for ease. Step 2 – Move A across and under B at a right angle. Then move A back under B and pull upwards gently through the neck loop. Step 3 – Next, create a bow shape by folding B towards the right and then the left. Step 4 – Cover the bow shape with A, bringing it downwards over the middle of the bow. Step 5 – Fold A back on itself, leaving the wider section outside of the fold, and push the pinched fold through the loop behind the bow shape. Step 6 – Now, simply pull the folded sections to tighten the bow and adjust accordingly so that the loops are balanced on both sides. It may help to have another person do this for you, but with plenty of practice you can master the art of tying your own bow tie! A bow tie is a traditional finishing touch to a wedding suit. 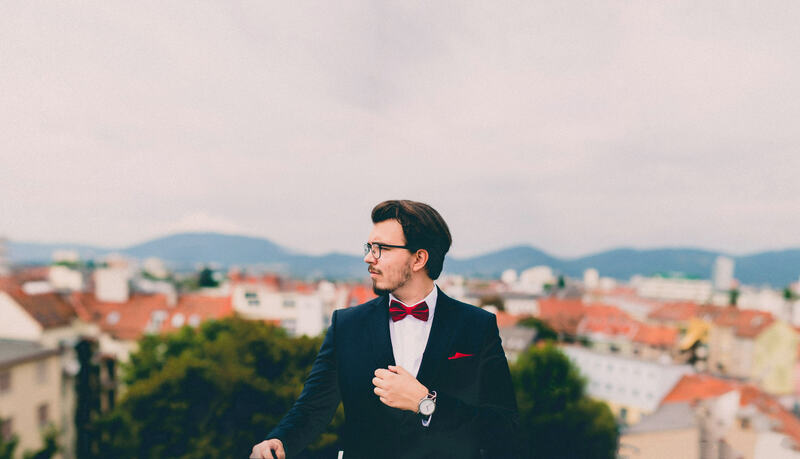 Whether you’re looking for the perfect wedding bow tie yourself as the groom, or searching for a bow tie for groomsmen or as a guest, we stock plenty of stylish choices at Ties R Us. 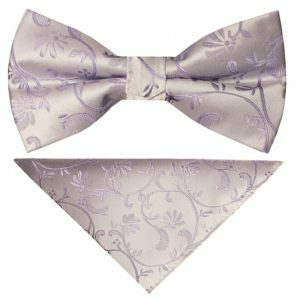 The ideal bow tie for a wedding will involve an elegant pattern, such as a floral or paisley pattern, to reflect the romantic connotations of the event itself. Opt for a handmade bow tie with a matching pocket square for a true gentlemanly appearance. 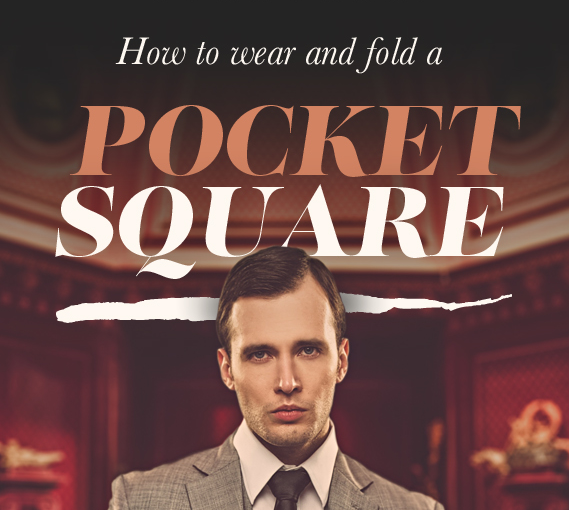 The addition of the pocket square will pull the look together wonderfully and add another element to your suit jacket. Choose a contrasting colour for your wedding bow tie and pocket square so that they make a statement and add a pop of colour to a grey or black wedding suit. If you’re looking for a bow tie for a wedding especially for your groomsmen, the Ties R Us range will cater to all colour schemes. Present your groomsmen with matching bow ties for a coordinated look, and choose a bow tie in a different shade of the same colour to differentiate yourself as the groom. Now you’ve learnt how to tie a bow tie, get your wedding bow ties right here at Ties R Us by browsing our collection of luxury bow ties available in an array of appealing designs. With the option to purchase a bow tie with matching pocket square, you’ll look suitably sophisticated for your big day.